We believe that facilitation is an art form, and our goal is to help facilitators become better artists. A Challenge Course is a great tool, and can help groups and individuals accomplish great things. However, a highly skilled facilitator can bring a group’s experience at the course to a higher level. Our facilitator training sessions rapidly advance trainees to the level of a highly skilled facilitator. Our training philosophy is unique: we take it slow, using an abbreviated apprentice approach. We strongly believe that before training to facilitate, you should observe other facilitators working. We have found that this provides trainees with a far more detailed understanding of what they need to learn before beginning more structured facilitator training sessions. Trainees are then able to ask more pointed questions and prepare for an experience that they understand. This model has been very successful for training our own staff and we recommend it for all of our beginning and intermediate training sessions. Our clients often comment on the high quality of our staff. We believe that the passion and scope of knowledge about facilitation that our staff brings to each of our programs is fantastic. They are passionate not only about delivering quality programs to our clients but also about mentoring newer staff to cultivate their own unique styles. This is why we believe our facilitator training sessions truly stand out. All of our trainers are practitioners as well as trainers. 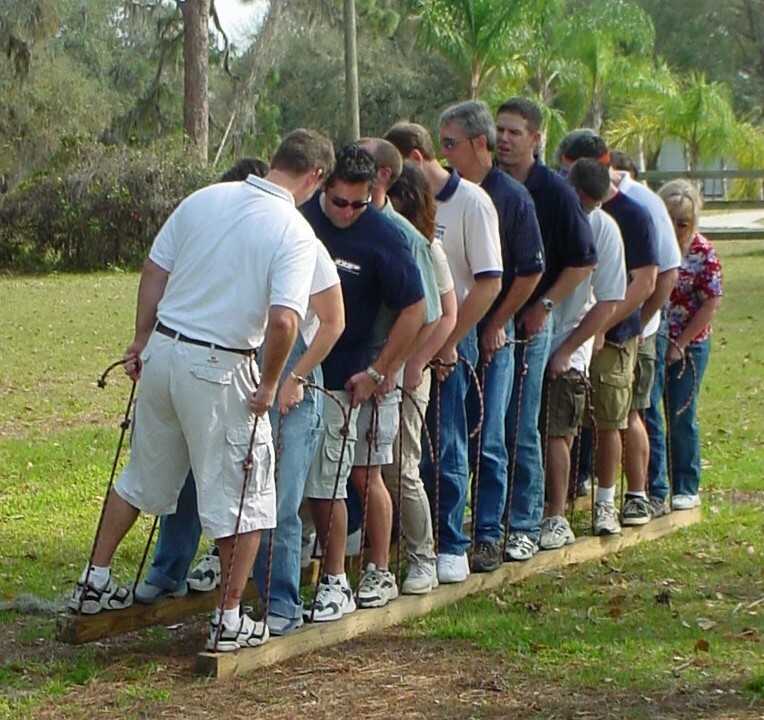 We provide professional ropes course training for facilitators at all levels, from beginners to seasoned veterans. Our training vary from 1 day refreshers to 6 day intensives. You will find a detailed description of our more common training programs on our Training Courses page. We can also custom design a training program to meet your specific training needs. Properly using both Low Challenge Course Elements and High Ropes Elements is critical to keep participants safe and ensure that they get the most value out of their time on your course. We provide all of the necessary training that you will need to successfully operate your course and facilitate superior programs at your location. With your help, we will help determine what amount of training you and your staff may need. The amount of training, dates and times will be determined in advance of the completion of your new course. 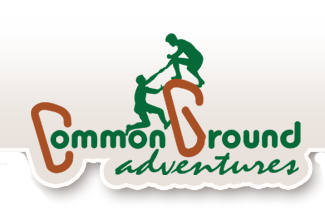 We also encourage you and your staff to make an ongoing commitment to training whether provided by Common Ground Adventures or professional organizations. For a detailed look at our more common training programs, visit our Training Courses page.